So I was in the Weeg the other day and decided to pop into FP. 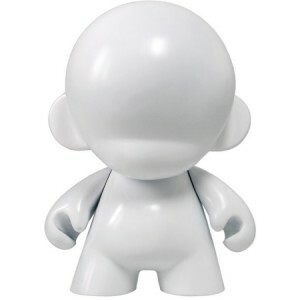 Bought a blank munny on a whim. Was excited by the prospect of the mystery accessory. Got back to my desk to the looks of bemusement from my colleagues (I tried my best to explain designer toys and modding). And guess what it came with? An axe. Sweet. Some greater power knows me too well. So now I have to decide what I’m going to turn the little guy into. Watch this space. Surprise surprise the munny is still blank. But at least I know what I’m going to do to it now! I have all the gear – fimo, paint, white plastic joints, perspex, clear liquid resin, a sharp saw, and some blue dye. Who knows, I might actually get it finished this year.